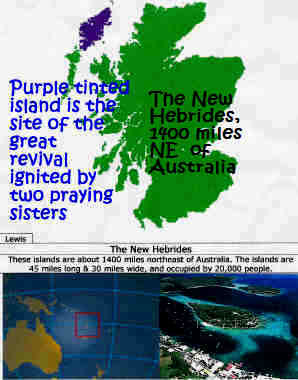 As this revival in the New Hebrides Islands in the Pacific tells us, revival can start, and often starts, in out of the way, obscure, even forgotten places. But God sees who are sincerely, earnestly, truly seeking Him, no matter where they are! He cares nothing about circumstances and locations. He will go to that praying soul and answer with his mighty power and deliverance! Just as he did when he answered the prayers of two praying sisters on a tiny island lost in the vast Pacific Ocean, who were earnestly interceeding for the souls of the young people on the island who were being led astray spiritually by a worldly teacher. The pastor could no nothing about it, but these sisters prayed, and God came and visited the island, flooding the young people with conviction so that they left a dance in progress and ran to the church repenting! The revival started on this island spread from there to the other islands in the Pacific, and who knows how far it spread? 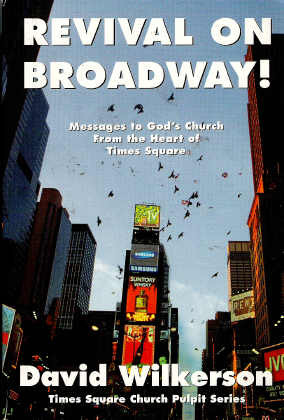 Right at the heart of America's most cynical, wordly, sensual, money-mad, pleasure-seeking city, right in Times Square, that is where God sent his man--David Wilkerson, a countried fellow described by Nicky Cruz the ruthless gang leader as a hick, who seemingly had no experience of urban life and any means to cope with the gangs and prostitution and organized crime that plagued the streets all across Manhattan to preach the Gospel, and a revival broke out that is continuing years afterwards to this day. Location, location, location, is what the real estate people cry, but no, not with God, though Times Square is strategic for reaching the whole of New York City. Rather, God seeks a heart truly centered on Him, surrendered to him, and humble, and no particular talent for what he is being asked to do, except he knows the Word of God. The location of the revival, well, that is secondary with God, if it matters at all. 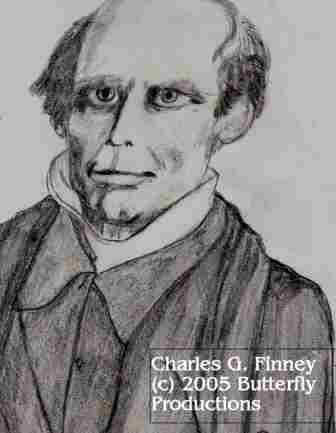 PLEASE RETURN SOON FOR ANOTHER GREAT EXCERPT FROM VOICE OF TRIUMPH MINISTRIES ABOUT FINNEY, WHO TURNED FROM LAWYERING TO PREACHING WITH INCREDIBLE RESULTS THAT SWEPT THE WHOLE NATION. Part I, "America's Urgent Decision: Spiritual Revival or Disaster," by John Kittleson, Lay Evangelist, published September 1988, but right on time for NOW!! Part II, "America's Urgent Decision: Spiritual Revival or Disaster," by John Kittleson, Lay Evangelist, published September 1988, but right on time for NOW!! "AMERICA IS A COVENANT NATION," EXCERPT FROM PETER MARSHALL: Please return soon for the excerpt of a message by U.S. Congressional chaplain, Peter Marshall, in which we are reminded that America is a Covenant with God Nation. That is exactly how we were founded, in a solemn, official, binding covenant with Almighty God, a fact Peter Marshall told the whole nation and which nobody who knows history in least part can truthfully deny. 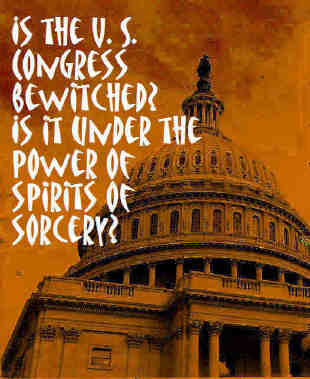 That is really what is meant by the phrase in the Pledge of Allegiance, "one nation under God." We are "under God," because our forefathers, the Pilgrims and Puritans, and the Founders, instituted this nation in faith in God, in subjection to His rule and His commandments--not founding our nation in human wisdom, human law, and human striving. We are a "God-Nation," not a replacement to the Chosen People and Nation of Israel, but, nonetheless, a nation that covenanted with God. That makes us different from every nation on earth exept Israel. That is why we have an affinity for Israel, traditionally, in America, and why America has been so blessed, singularly, by God, and also why we have freedom and liberty. That is why we need to return to a knowledge of this holy Covenant and acknowledge our responsibilities under it. 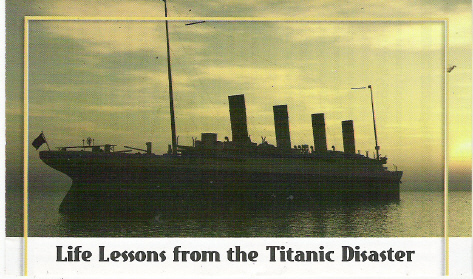 "Life Lessons from the Titanic," is a tract message that will be given here, at least in an excerpt, as further confirmation of the above "The Titanic Connection." 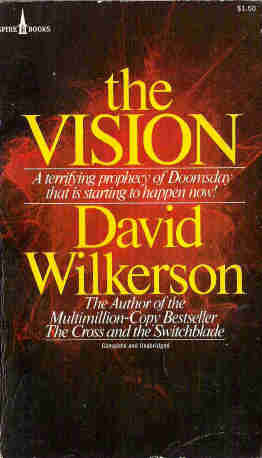 PROPHECIES AND ADMONISHMENT FOR A WAYWARD AMERICA AND OUR PRESENT LEADER: Mid-Term Election Brings Destruction and Judgment upon Secular-Humanist God of America!--Just as the towering gods and titans of American finance, gold, and greed, and power and pride, were struck down to a dusty, burning grave by the mostly Saudi Arabian Wahibist Muslim terrorists on 9/11, the rest of the nation will soon be dealt the same fate. Saudi Arabia, if the unpalatable truth be known, is America's greatest enemy, rapidly subverting and taking over this society from within with our own oil money, by buying our educators and university departments with unlimited grants--as Brigitte Gabriel, a Lebanese Christian now a U.S. citizen, can testify, since she and her family were victims of the Muslim aggression in her homeland of Lebanon [more about her later, with contact information). So America's chief god, the many-headed god of secular-humanism, will be struck down, which even now is rejoicing in the hearts of a majority of Americans who voted against the God of Abraham, Isaac, and Jacob in the Mid-Term elections. These people were simply being tested by Almighty God, weighed in the divine balance, and we see what was in their hearts, as they have voted to take themselves and the whole nation down to the pit. They chose their false, lying god over the One True God, whom their forefathers knew, loved, and died for when they established a new nation in North America, conceived in biblical principles, beliefs, and liberty. What mistakes they made (and those who came after them made much bigger ones), does not nullify their great and immortal achievement. But all these 21st century American voters for the false god are not naive prodigals who can experience a change of heart if their wrong choice is pointed out to them--no, they are sold out to the devil, children of darkness, slaves serving the spirit of anti-christ. They trust in their riches, in their human strength and intelligence, in the gods of money, pride, and vaunted American technology--now let these vain things save them from destruction, if they can! Soon now Almighty God will allow a flood of destruction to sweep across the whole of America, from within, and from without--until all the high towers of humanism are swept away! Whoever clings to them, will be swept away with them. But the people who covenanted with God through obedience and sacrifice, they will be spared, though they suffer much. God's imperishable, all-victorious Word proclaims to this repentant remnant of the Pilgrims in America: "Come and see the works of God; He is awesome in His doing toward the sons of men. He turned the sea into dry land: they went through the river on foot. There we will rejoice in Him. He rules by His power forever; His eyes observe the nations; do not let the rebellious exalt themselves. Oh, bless our God, you peoples! And make the voice of His praise to be heard." --Psalm 66:6-8. 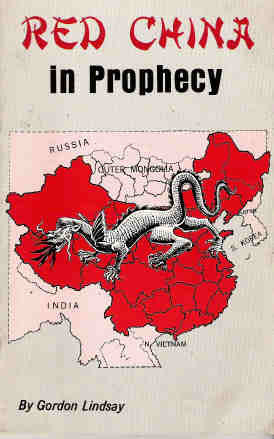 Where does China figure in to Bible prophecy in the book of Revelation? It is frequently mentioned as "the kings of the East," but where is America involved? Will China be one of those nations of the East that the Lord uses like a hammer to smash us in a coming time of judgment on America? We need to take firm hold of where we are as a nation, and then see how we have failed terribly and repeatedly in regard to China in the past, even the recent past. We have, as a nation, ignored China, to our great hurt. China is a great red dragon, a communist beast power of vast population and increasingly formidable econonmic, military, and political strength. It is not yet a superpower, but it is fast growing to that level. America and China are on a collision course--there can be no other way to describe what is happening (if your eyes are open! ), though at present we are engaged in a tremendous, one-sided trade relationship, with our nation funding or "feeding" the great red dragon. Will China turn on us and devour us, as dragons proverbially are known to do to the unwary? Right now China is keenly observing us, identifying every chink in our national armor while stealing our nuclear technology or buying it outright from our soul-selling companies--just as our other mortal enemies, Iran, North Korea, and the Al Qaeda terrorist network are doing--all the while sharing information and perhaps lethal weapons of mass destruction. China is not an innocent bystander, just a trade partner like any other we have. China is calculatingly, meticulously gathering necessary strength, training, bases, weapons, and the whole array of technological, military, and electronic means to destroy us when the moment is ready to strike us. China's universities are constantly used as bases to hack, penetrate, infect our data systems and glean secrets from our top military web sites. China is strenuously seeking space flight and satellite technology, so that she can deal with us in space as well. Will she use what all she has gained from us against us, when she decides she is strong enough to crush us? The attack is coming. The only wild card is the Christian church in China--nestled in the dragon's breast, though not willingly accepted there (if you know anything about the tremendous persecution that is on-going in China). Will that vibrant, persecuted, suffering church now reaching upwards of 80 million Christian believers by one expert's estimate be able to turn the Great Red Dragon of Communist China from carrying out its deadly plan for us? We shall soon see! PROPHECY OF THE LORD, GIVEN TO HIS PEOPLE THROUGH HIS SERVANTS AT HIS CHURCH IN THE SHEEPSHED IN EDEN PRAIRIE, DECEMBER 1973: "Oh My children, I have chosen thee as instruments of praise in My hand. I shall bring forth from thee a melody of praise and rejoicing. 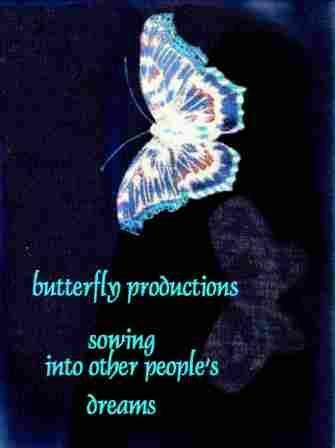 I will free thee from the prison house and thou shalt exalt thy God in liberty of spirit. Let thine heart be encouraged for a new day is dawning--a day of repentance and a day of gathering for My people, saith the Lord. For they shall not continued barricaded and isolated behind walls of prejudice...I am the Lord, and I will be worshipped in Spirit and in Truth. The world is waiting for a robust church to minister to its needs; and how can an ailing, dismembered Body bring healing to a sick and dying world? Surely I will pour out My Spirit and by prophesies, by signs and wonders, by healings I will reaffirm the veracity of My Word and bring the message of the Gospel to many who would otherwise never give heed. Stand firm in Me. Never waiver. So praise me continually, for Praise worketh Faith. Loving Me never fails to bring Me to thy side. Rest in Me." Note: This prophecy was given my family by my aunt and uncle who were deacon and deaconess (true, Holy Spirit led, Biblical offices, not the sort that are generally appointed in churches) at the "sheepshed" church in Eden Prairie where this word was given sometime in 1973. The church started as a Bible study in the home of my aunt and uncle's, as a reward for their obedience and faithfulness in following the Spirit of God despite the persecution of others, including a pastor, in their own church after they refused to enter into an ungodly church merger. The new home church expanded mightily, as the Word came forth in powerful Bible preaching and teaching, and new ministers full of power and grace were raised up in their midst. The church had to be moved from their home, it grew so big, and from then on, as a mother church, it established over twenty other churches in the U.S. My aunt and uncle have since gone on to the Lord and received their great rewards, but their legacy is enduring, as it is now spread across the world in yet more vibrant new churches, missionaries, and missions. 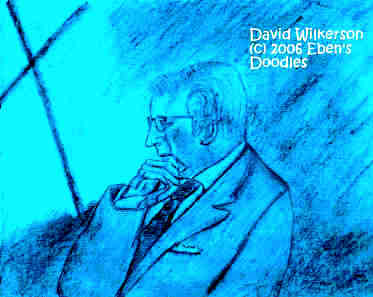 A MESSAGE TO THE CHURCHES AND AN INVITATION TO THE BROKEN PRESIDENT OF THE UNITED STATES: The One True God, the God of Christ, the God of Abraham, Isaac, and Jacob His servants, has called you, and is calling you, and yet you are still giving your right hand to your bitterest enemies in friendship, and your other hand rests in the laps of false gods--for you welcome the prayers of heathen people along with godly prayers, even calling for these false prayers on your behalf. Where is that in My holy Word, says the Lord? Where is this sanctioned by Paul My Apostle? Did he call for the prayers of the heathen on his behalf? But you do! Well, how have these false prayers served you so far? Please look soon for the excerpt from the story of Peter Marshall, taken from his message, "The American Dream," which proclaims that America is a Covenant Nation. WHAT FAITH CONQUERED THE MIGHTY ROMAN EMPIRE? IS THERE A LESSON HERE FOR MOSLEMS IN ISLAM? It was Christianity, of course, that conquered ancient Rome. The Roman Empire had many popular, flourishing religions and cults--Mithras, Isis, the Roman Pantheon of Jupiter down to Mercury, and many others, including the deified Emperors themselves--yet the Christian faith took over the Roman empire, which was a world state. How? By force? With the sword? Not at all, it was by peace, by the preaching of the Bible and the Gospel, by the conviction of sin, by the move of the Holy Spirit upon the sin-darkened, unregenerate hearts of men and women, that enabled them to turn from darkness to light and become true, born-again children of God. Islam knows nothing of these means (there is no being born again by the Spirit of God, no miracles of healing, no Holy Spirit, no regeneration of man's dead spirit into the Spirit of Christ)--being a religion of legalism and religious rituals and works righteousness propagated by force, oil money, and sheer numbers of an exploding population growth rate. Force, oil money, and population growth work--Islam is conquering the world. Secular Humanist apologists for Islam in the West deny the need for any real resistance by the West against Islam. Are they correct or just politically correct? Please read how a nation, even such as America, can be divided and conquered by the "enemy within" and a "peace-loving sheep" that is really a ravening wolf.